Self-reference is what this book is all about. 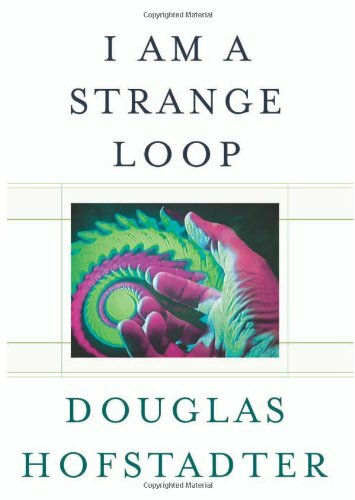 Douglas Hostadter, author of Gödel, Escher, Bach (which I never have gotten all the way through), tries in this book to get at what we mean when we say “I”. I found it a pretty good read; some silly parables and stories help illustrate his concepts. Below I’ll try to summarize what I got out of it, and where I think it leads. 1. Hofstadter believes that Gödel’s real breakthrough was creating a mapping system on top of the natural numbers. Once he had done that, he had shown that you can create a kind of ‘universal machine’ for creating new patterns and abstractions (taken to the level of computing by Alan Turing). 2. Hofstadter rejects any notions of dualism, and thus sees physical matter & laws as the bedrock for all we perceive. No mystical notions of elan vital for him! All must map back down to the physical level of neurons (or atoms, or however far you want to go). 3. He believes that as the brain evolved, it got to a point where it could start to self-reference, and act as a powerful type of ‘universal machine’. He places living things on a scale of consciousness, with humans at the peak, dogs at some low level and mosquitoes at virtually nil. 4. He then posits that as the human brain develops patterns of high-level abstractions and self-references (strange loops), it creates for us an ‘illusion’ or ‘mirage’ that we call “I” (or the soul, or consciousness; he uses the terms to mean a similar thing). 5. Part of what we model in our brains is the patterns of other people; he sees each person’s ‘soul’ as existing (in low-res ‘copies’) in a distributed way amongst the people we know. Thus after we die some low-res version of our ‘soul’ is still around as long as someone remembers us. I’ve obviously simplified a lot, and hopefully not butchered his basic positions. I plan to comment on a number of these points in later posts. I picked up a re-issue of the band Magazine’s album “The Correct Use of Soap” and it’s a good one! I had never delved into Howard Devoto’s band back in the day. This was their third record, generally acknowledged as best. I compare it a bit to what Wire was doing back at that time on Chairs Missing and 154; it uses keyboards along with guitar/bass/drums, and it’s just a little creepy sounding at times. I love the cover of Sly and the Family Stone’s “Thank you (falettinme be mice elf agin)” and the song “I want to burn again”! Here’s a good short overview on Magazine. I found this book while poking around the Amsterdam airport, looking for something interesting; A Brief History of Everything fit the bill. I’d browsed Wilber before, but never read anything; this mass market edition looked inviting enough, with its Q&A format and promise of an overview of his thinking. While some of the book gets into some pretty abstruse philosophical territory, I’ll try to highlight what I found to be the main points (obviously greatly simplifying). Wilber is trying to integrate a lot of ideas, looking for the overarching patterns and lessons from philosophy and science. An overriding idea is that the interior/subjective is just as important as the exterior/objective (aka Science), and that by concentrating too heavily on one or the other you wind up with a very unbalanced approach. He applies this concept at all levels, so if we think of ourselves, the interior is mind/consciousness, while the exterior is the brain/body. The exterior can be measured and monitored from the outside, while the interior can only be approached through dialog and interpretation. Wilber also makes a critical distinction between the individual and the collective; acknowledging that we are social beings, there is interior and exterior to the group as well; the interior may be labeled as the cultural. The cultural is also about values and is subject to interpretation. The diagram above is a simple visual representing what Wilber refers to as the ‘quadrants’. Each quadrant has its own levels and forms of truth. The third big idea is that evolution occurs in each quadrant, and that evolution creates greater depth with less span, or in other words smaller numbers of more complex things; humans, societies, science, levels of understanding. As evolution proceeds on individuals and groups, interior and exterior, there is greater depth. This summary may make it all seem a bit trivial, but I’m obviously just scratching the surface. I like the fact that he does not throw out science while insisting on the importance of the interior. At the same time, he feels that the modern condition of denying transcendence leads to a ‘flatland’ that is impoverished and unbalanced. 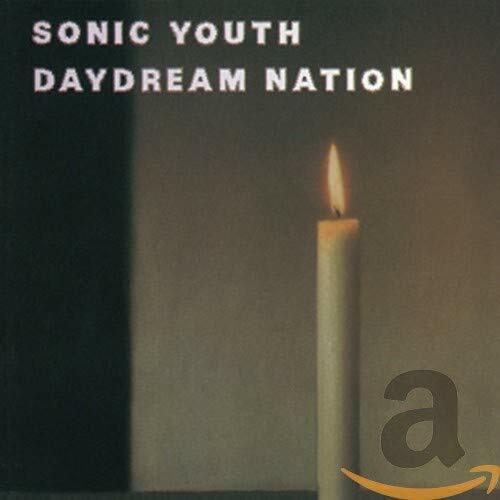 I picked up a copy of the new 33/13 book on Sonic Youth’s 1988 album ‘Daydream Nation’ by Matthew Stearns. It’s overwritten in a good rock and roll way, with a solid breakdown of the individual tracks. I’ve tended to think of the CD as one huge slab of sound, but reading the book gives me a new way of focusing on certain details. If you’re a fan, I’d recommend it. Also picked up “The Damaged Room” CD of b-sides and rarities by SY. I had not been in a hurry to get it, but I find I like it quite a lot – mostly longer workouts, including a 26 minute original cut of ‘The Diamond Sea’. I first heard of this CD 5:55 from a NY Times poplist giving selections made by Bebel Gilberto, and found an import copy (from Hong Kong of all places) down at the local shop. Charlotte Gainsbourg is Serge’s daughter (her mother is Jane Birkin), and the CD is quite an all-star affair, with music by Air, production by Nigel Godrich, and Jarvis Cocker on the songwriting team. I’ve only played it twice so far, and it’s growing on me. Good for that late night wind down time. Pitchfork thinks it’s only so-so. Looks like a domestic release is due out this week. Friedman on "The Power of Green"
I read Thomas Friedman’s long NY Times Sunday Magazine piece “The Power of Green” (April 15, 2007) with interest. While I found parts of the article intriguing, overall it seemed to be in denial despite some initial cautions. He then goes on to detail some of the possible projects that would be needed to have an actual impact, which include putting cars on ethanol, doubling our nuclear power capacity, cutting electricity use by 25 percent in homes & offices & stores. As he says, these are not trivial projects, and I’m not convinced that all of them would do much good anyway (corn-based ethanol already appears more problematic than helpful). So which is it? No cut backs, no changes to our lifestyle? Or massive economic changes? Friedman seems to think that enlightened leaders could lead us through this issue by sticking to the good news story. I’m doubtful – about how even an enlightened leader could effectively operate in the current climate – and about how effective even these big projects would really be. But there’s no question that it’s a debate worth having. 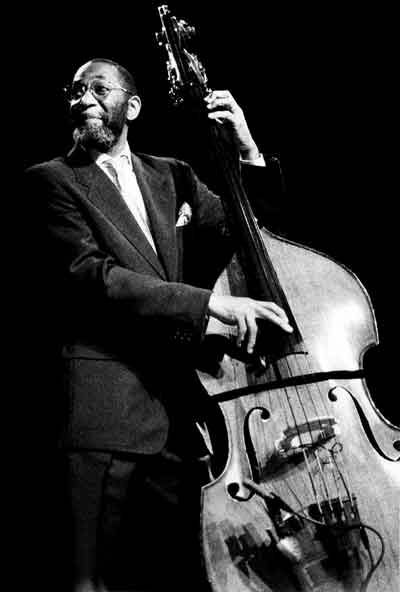 By Curt | Posted in Sustainability | Comments Off on Friedman on "The Power of Green"
I got a chance to see another one of Miles Davis’s former bass-men tonight; the Ron Carter Quartet playing at Yoshi’s in Oakland. It’s a solid, rhythmic quartet with bass, piano, drums, and a percussionist. They started out with a number that sounded like something off of ‘Kind of Blue’ and ended with a rendition of “My Funny Valentine” that included bits of “Somewhere Over the Rainbow.” Nice stuff. Somehow I managed 45 years on the planet without ever seeing the classic film “Singin’ in the Rain” – until this evening. Saw that it was playing at the Castro Theater so decided it was time. Super saturated colors and great song and dance numbers. Some of the bits come across a little corny nowadays, but the dancing is great, and most of it is filmed in quite long takes. The trio of Gene Kelly, Donald O’Connor and Debbie Reynolds only do the title song briefly during the credits at the beginning (during the film Gene Kelly takes it solo). They don’t make ’em like they used to. Here’s a shot I took this morning; as you can see spring in Portland is all about colors! Have a great day. By Curt | Posted in Uncategorized | Comments Off on Easter colors! While riding the trains in the Netherlands, I read Thomas Kuhn‘s 1962 book “The Structure of Scientific Revolutions”, which was well worthwhile. Maybe it’s just a sign of how influential the book has been, but I found his arguments well founded and still very interesting. His notion of scientific paradigms tries to examine what science is about as a collective enterprise, and how it is that new ideas become accepted by a community (not a fully objective, rational process by any means, though rational judgments are made by the participants). Getting inside this subjectivity earned Kuhn some enmity, but I find it a very rewarding approach. In the airport at Amsterdam, I searched the stores for more reading on the way home, and while most shops had virtually the same selection of English titles, in one I found a new paperback re-issue of Ken Wilber’s “A Brief History of Everything” (which synchronicitiously makes direct reference to Kuhn), which attempts to integrate many philosophical approaches. I’ll have more to say about that when I finish it.